InMotion Ventures, the venture capital business powered by Jaguar Land Rover, has completed a seed investment in enterprise-focused ride-sharing platform SPLT. SPLT is a carpool service that enables employees at large organizations to connect and share the drive to and from work, using their own vehicles. The platform’s ride-matching algorithm allows lifts to be dynamically arranged in seconds within a trusted community of commuters, saving time and money for both employees and employers as well as combatting traffic and parking issues. The Zhejiang Geely Holding Group is reportedly bidding for a 51% stake in Malaysia’s Proton Holdings, the owner of the Proton and Lotus brands. The current owner is DRB-Hicom, one of the country’s largest automotive conglomerates, which has long been looking for a “strategic partner” for Proton Holdings. Zhejiang Geely currently owns the Geely Auto, Volvo, and the Lynk & Co. brands. Aston Martin The Americas has revealed full details of its new certified pre-owned car program now available in North America: Timeless Certified Pre-Owned (CPO). Timeless CPO builds on the strong foundation of the luxury British brand’s pre-owned sports car buying and owning service and provides customers with the very highest levels of quality, assurance, and confidence with a comprehensive buying and owning experience. A classic 1950 Jaguar XKSS is set to become the most expensive British road car in history when it goes under the hammer and is expected to fetch £13.5 million. The XKSS is so desirable that the manufacturer recently revived it by building nine models that are identical those which left the factory in 1957. But this original model is set to be the first to go on public sale in more than a decade. Experts expect a fierce bidding war from super-rich collectors around the world who are desperate to get their hands on the iconic car. 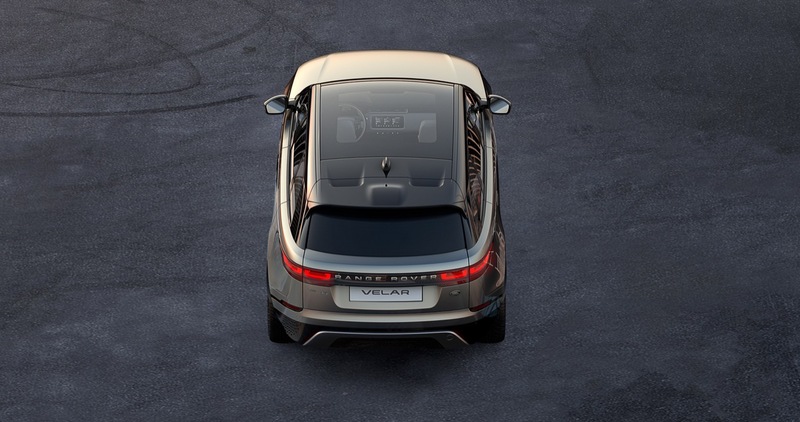 Jaguar Land Rover Automotive plc, the UK’s largest car manufacturer, this past Tuesday reported a 13% increase in revenue to £6.5bn with strong customer demand in the three months to December 31, 2016. Total retail sales of 149,288 vehicles, up 8.5% year-on-year, were a record for the third quarter with higher volumes in China, (up 38.4% including sales from the China joint venture), North America (up 19.8%) and Europe (up 7.0%) led by strong sales of Discovery Sport, Jaguar F-PACE and the Jaguar XF (including the new long wheelbase Jaguar XFL in China). With the 2017 FIA Formula 1 World Championship® set to kick off on 26 March, Aston Martin has unveiled its latest additions to the Vantage range; the V8 and V12 Vantage S Red Bull Racing Editions. These true collectibles have been created by the marque’s in-house personalisation service; Q by Aston Martin. Celebrating the two brands’ unique ‘Innovation Partnership’, Aston Martin’s latest global offering takes approval from Red Bull Racing drivers Daniel Ricciardo and Max Verstappen, with their signatures adorning both sill and inspection plaques. Representing the state of the supercar art, a one-off Evora Sport 410 has been commissioned through Lotus Exclusive as a tribute to one of its most famous ancestors, the Lotus Esprit S1. 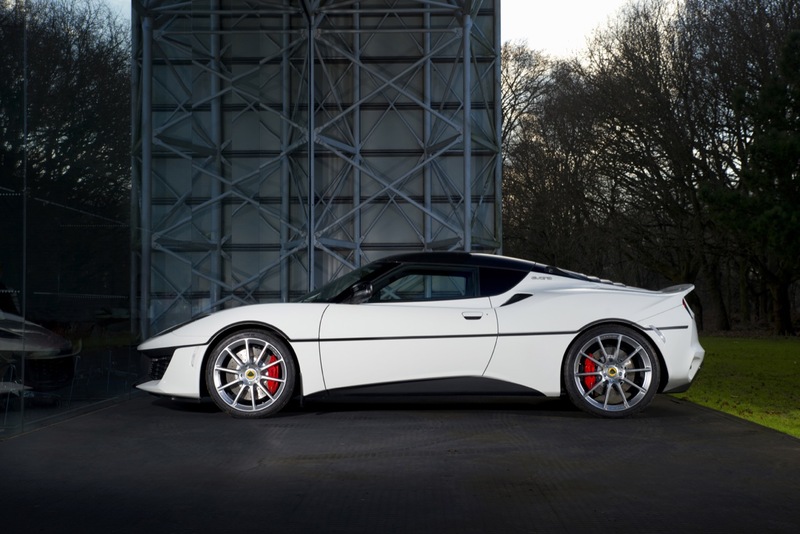 Launched in October 2016, the Evora Sport 410 has wowed motoring press and customers with its combination of effortless pace and intuitive handling. With production limited to just 150 examples a year worldwide, the build schedule is filling up fast. Land Rover’s new Discovery arrives in retailers this week giving customers the first opportunity to test the most versatile SUV on sale today on UK roads. Even before the fifth generation of the world-renowned and much-loved Discovery reaches retailers, more than 4,000 have already been sold in the U.K. alone with more than 20,000 sold globally. Jaguar drivers can now use their car’s touchscreen to pay for fuel with a new cashless payment app. The Shell app is one of several new enhancements to Jaguar’s F-PACE, XE and XF models. Other updates include the introduction of the latest efficient Ingenium petrol and diesel engines and the addition of convenience features such as gesture technology where the sweep of a foot can open the boot. The 12-turn, 2.5km Puerto Madero circuit is the only track on the Formula E calendar to have featured in all three seasons, but it provides a new challenge for Panasonic Jaguar Racing, as the team builds on a solid start to its debut season. Racing in the hot Argentinian sun makes the Buenos Aires ePrix a tricky test, requiring a careful balance of race pace and thermal management, which led to some of the championship’s most thrilling and unpredictable races. The British team is looking forward to the challenge of racing on a track that pushes cars to the limits and rewards clear communication between driver and engineer. The 2017 Jaguar F-PACE has been named Best Luxury Utility vehicle by the nationally broadcast television series MotorWeek as part of its annual Drivers’ Choice Awards. Presented during the 2017 Chicago Auto Show, these awards recognize the best new cars and trucks throughout the industry. Designed and engineered to offer the agility, responsiveness, and refinement that all Jaguar models are renowned for, the F-PACE has taken Jaguar DNA and added enhanced practicality and space. The Drivers’ Choice Award is the latest in an ever-growing list of industry honors that the F-PACE has received since its 2016 introduction, and acknowledges the brand’s successful delivery of a performance SUV that truly resonates with consumers.